I have sold a property at 306 365 1ST ST E in North Vancouver. Here it is! South facing with panoramic views, two bedroom with a large patio for sipping your morning coffee and watching cruise ships coming and going. A great floor plan which separates the bedrooms, has an open living concept allowing you to entertain from the kitchen through to the dining and living rooms. Custom blinds, Crown mouldings, Stainless Steel appliances in the kitchen, gas fireplace in the living room and in-suite laundry for your convenience. Located within walking distance to all that Lower Lonsdale has to offer; Spirit Trail, Lonsdale Quay, shops, restaurants, recreation, transit. I have sold a property at 409 124 3RD ST W in North Vancouver. Located in vibrant Lower Lonsdale, this sunny, 2-bedroom 2-bathroom plus office nook with an open-concept floor plan features bright South-West exposure with city views, newer stainless appliances, brand new window coverings, air-conditioning, natural gas fireplace, in-suite laundry, spa-like soaker tub, large BBQ-approved balcony, secured parking spot, and storage locker. Very convenient location close to Seabus and other transit, Lonsdale Quay, movie theatres, shops, boutiques and markets, restaurants and cafe's, parks, community centre and gym, and much more. I have sold a property at 406 305 LONSDALE AVE in North Vancouver. The Metropolitan is a well respected and attractive Bldg in LoLo's Quay neighbourhood. 4th Floor sub-penthouse unit of 1035 Sq Ft. Numerous recent updates incl Appliances, Carpeting and Blinds. Easy stroll to Lonsdale Quay (5 mins) for Restraunts, Drugstore, coffee shops, IGA and more. Speedy access via SeaBus and bus terminal to Downtown and other destinations. Updated kitchen, super deck and overall appealing, bright and airy layout. Good sized Master w. 4 pc Ensuite. Functional Office as well as a "true" 2nd Bdrm! Open Sat 19th 2:00 - 4:00pm. Won't last at this price! I have sold a property at 907 155 1ST ST W in North Vancouver. This is the one you have been waiting for! A rare opportunity for an affordable "Time Building" upper unit with Mountain views. Features of this 1 bedroom include a cozy gas fireplace, open kitchen, in-suite laundry and your own exclusive storage locker at the end of your parking spot. Literally foot steps away to all that Lower Lonsdale has to offer including: shopping, recreation, public transit & sea-bus. Quick possession available. This won't last! Open Tuesday July 5th 10-12 & Saturday July 9th 2-4pm. I have sold a property at 1107 133 ESPLANADE E in North Vancouver. 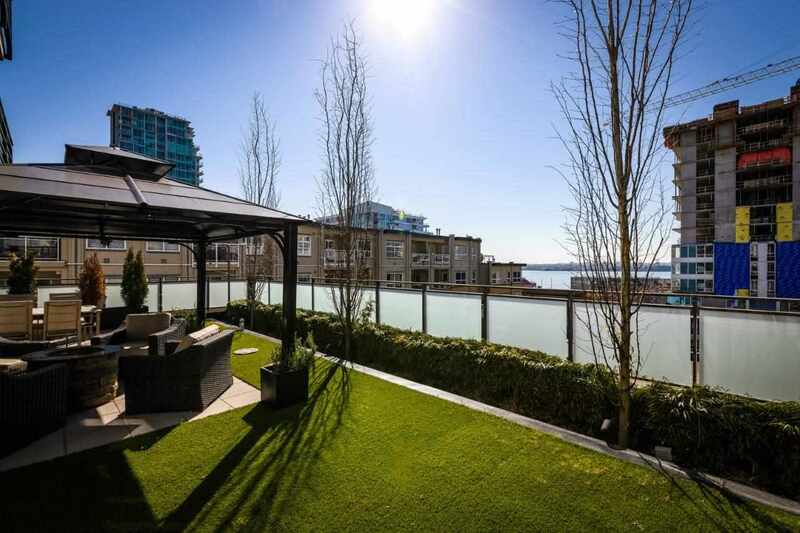 This spectacular waterfront penthouse is located at the exclusive Pinnacle Residences at The Pier in vibrant Lower Lonsdale. A unique open floor plan with over 1700 square feet of spacious luxury offers stunning views of downtown, the waterfront, Stanley Park, Lions Gate Bridge and the mountains. An exceptional level of quality that includes Bosh & Liebherr appliances, granite counters, soft close cabinetry, crown mouldings, air conditioning. Entertain on your 1,000 square feet walk out terrace. Enjoy privileges at the adjacent Pinnacle Pier Hotel including a private recreation center which features a 5 lane 80 foot pool, steam room, sauna, whirlpool and fully equipped gym. Steps away from the Sea Bus, over 20 restaurants, shopping, The Lonsdale Quay Market, theatres and more. Simply the most stunning penthouse in North Van. on the market today. And it is move in ready! I have sold a property at 711 175 1ST ST W in North Vancouver. This is the one you have been waiting for! A rare opportunity for a "Time Building" upper unit with Harbour, Lions Gate & Downtown views. Features of this 1 bedroom plus den include a cozy gas fireplace, open kitchen, insuite storage (plus your own exclusive storage locker at the end of your parking spot). Literally foot steps away to all that Lower Lonsdale has to offer including: shopping, recreation, public transit & sea-bus. Quick possession available. 1 bedrooms with this floor plan and view don't last! Call today! I have sold a property at 109 357 2ND ST E in North Vancouver. Don't miss this great buy in Lower Lonsdale! Updated and ready for you to move in! This 1 bedroom, 1 Bathroom features a fantastic open layout, including a great kitchen with updated cabinets, newer laminate & tile flooring, designer paint, crown moulding & a completely redone bathroom. The building has been updated as well with a newly finished & modern lobby, updated perimeter drainage, a 5 year old roof, plumbing done in 2003 and fire alarm system was updated in 2013. All this within walking distance to practically everything - shops, restaurants, transit & parks and all that Lower Lonsdale has to offer. Call today. I have sold a property at 224 332 LONSDALE AVE in NORTH VANC. I have sold a property at 705 175 1ST ST W in North Vancouver. Condo living at it's best! Located in the renowned "Time" building along desirable West 1st, this bright 1 Bedroom and den condo features a very functional floor plan including an 80sqft deck looking out towards Grouse Mt. and The Lions. Insuite laundry, a large insuite storage room plus a storage locker and 1 parking in the underground secure garage. Literally foot steps away from all that Lower Lonsdale has to offer including: Restaurants, shopping, recreation, public transit & sea-bus. Quick possession available. 1 bedrooms with this floor plan don't last... Call today! I have sold a property at 514 175 1ST ST W in North Vancouver. Lower Lonsdale Studio apartment at the Time Building offers urban living at it's best! This very bright and functional layout features an open kitchen with ample work and storage space, new stainless appliances including a gas stove and newquartz counter tops. New washer & Dryer,new high quality flooring and paint finish it to give it a new feel. All this steps away from all that Lower Lonsdale has to offer including shops, restaurants, theatres, Community Centre, Lonsdale Quay and the Seabus. Parking and storage included, pets welcome and rentals allowed. Great investment here or a great pied-a-terre. Call today. I have sold a property at 311 333 1ST ST E in North Vancouver. South Facing and Bright! This 2 bedroom + den Located in Vista West will not disappoint! Features include a large master bedroom with attached ensuite with deep soaker tub, an open floor plan with a very well equipped kitchen (including newJenn-air range, Miele dishwasher and KitchenAid fridge) , great dining space that looks onto the spacious living room and also a 100 sqft patio to enjoy the views of the city and harbour or watch the sun go down! All this in Lower Lonsdale, close to shopping, restaurants, recreation and transit. Call today! I have sold a property at 108 175 1ST ST W in North Vancouver. Located in the heart of Lower Lonsdale, this South facing 2 bedroom & 2 bathroom suite boasts nearly 1100 sq ft of comfort. Enjoy the fabulous outdoor space on your private 300 sq ft patio with a lovely view to Downtown. Updates include a custom kitchen featuring a stainless steel appliance package and gas cook top. Bonus features include in suite laundry, hardwood flooring throughout and gas fireplace. Pets and rentals welcome. I have sold a property at 325 332 LONSDALE AVE in North Vancouver. This top floor at the Calypso is very bright with the skylights and south west exposure. Nice open design floor plan with breakfast bar and open dinning space. Gas fireplace, insuite laundry in a separate room and 2 parking are some of thegreat features about this unit. Semi-ensuited bathroom has heated floor, jetted walk-in tub, new toilet and vanity. Great location, including Transit, shopping, restaurants and all that Lower Lonsdale has to offer. Call Today! I have sold a property at TH2 155 1ST ST W in North Vancouver. Luxurious and warm from the moment you enter through your own enterance of this tastefully renovated concrete townhouse. The main floor features an open den, a beautiful custom kitchen with new maple cabinets, quartz countertops, new FisherPaykel appliances, a wonderfully appointed powder room and a flowing dining and living room heading towards the south facing patio. Upstairs are two bedrooms including a large master bedroom (large enough for a King bed) with attached ensuite. 2 parking spaces as well as a large walk-in storage locker are included. Located close to Shopping, Restaurants, Entertainment and Transit. This townhouse has uncompromised quality throughout, Call today! I have sold a property at 902 155 1ST ST W in North Vancouver. I have sold a property at 605 175 1ST ST W in North Vancouver. I have sold a property at 402 124 3RD ST W in North Vancouver. I have sold a property at 1502 110 4TH ST W in North Vancouver. GREAT VIEWS, STUNNING UPDATES. A modern open concept that includes new kitchen with granite and stainless completly new bathroom with deluxe fixtures, new carpet, paint, heated tile floors in the kitchen, hallway and bathroom. All this plus lovely views of Mt Baker, lights of Burnaby & Vancouver and water views. This is a great opportunity for 1st time buyers or investors. RENTALS ARE ALLOWED. Situated in popular Lower Lonsdale close to all the amenities the area has to offer. The building has a gym, tennis courts, party room and low maintenace fees. I have sold a property at 502 175 1ST ST W in North Vancouver. Don't miss this affordable luxury 2 bedroom at "Time West." This 2 bedroom includes engineered hardwood, a cozy gas fireplace, open designed kitchen with new counter tops, under mount sink, very large balcony, insuite laudry,beautiful views of Lions to the harbour Close to all that lower Lonsdale has to offer including: shopping, recreation, transit & Sea bus. Call today! 'The Time' one of the sought-out unit with gorgeous South East views, this large open living plan features over 920SF of contemporary space including cozy kitchen with granite countertop, S/S appliances, gas cook top and beautiful hardwoodfloor & light. The building presents a concierge, one locker, underground parking, community center. Convenient location to Lonsdale Quay, seabus, movie theatre and all that Lower Lonsdale has to offer.